Five years ago, University of Rochester School of Medicine and Dentistry student David Paul (M.D. ’16) was taking part in a UR summer research program and was looking for a neurosurgery project to sink his teeth into. Vates, who later became Paul’s medical school mentor, says that predicting the degree of sight restoration in patients following tumor removal has always been a clinical challenge. Paul and his mentors, Brad Mahon, Ph.D., and G. Edward Vates, M.D., Ph.D., discuss a patient study in the Rochester Center for Brain Imaging. At its most basic level, Paul’s pilot research has verified an effective way to view and measure changes in myelin (white matter) within the brain’s visual system, in order to better predict a patient’s visual recovery following pituitary tumor removal. More broadly, however, his work offers another clue to the mystery of neuroplasticity—the brain’s native ability to fix itself over time—and may one day give doctors a “crystal ball” to explore the effectiveness of treatments for a wide range of diseases and injuries affecting the white matter of the brain. Paul’s scientific achievements, in combination with his ongoing mentorship to Rochester city school students, have made him the first-ever UR medical student to receive The William and Charlotte Cadbury Award from the National Medical Fellowships and Association of American Medical Colleges (AAMC). Every medical school across the country nominates a student for this national honor, but only one student is chosen. Paul will receive the award, and be welcomed into the AAMC’s Future Leaders of Academic Medicine, at an awards ceremony in Baltimore. Md., Nov 9. While it has long been understood that pituitary tumors cause vision loss by compressing the optic nerve, there is significant variability from patient to patient in both the initial level of visual impairment, and the degree of post-surgical visual recovery they will experience, that cannot be linked to tumor size, a patient’s age, or preoperative exam. Paul then knocked on the lab door of Bradford Mahon, Ph.D.,an assistant professor, who conducts research into cognitive and neural processes at the Rochester Center for Brain Imaging. 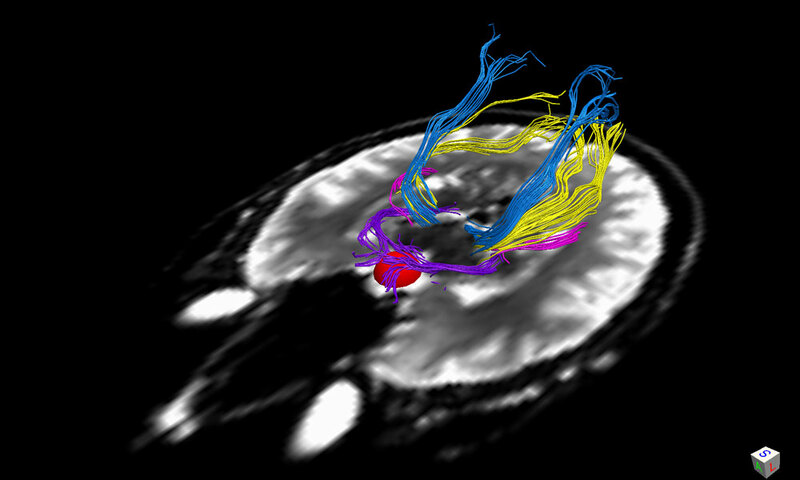 Together, they discussed using Diffusion Tensor Imaging (DTI), to proportionally measure the radial and axial diffusivity of the curved white matter tracks. Mahon says that what began as a short-term project “to keep a smart medical student busy for the summer,” quickly gained momentum thanks to Paul’s relentless curiosity, and perseverance. Paul took a year off medical school to focus exclusively on his research, capitalizing on the guidance and mentorship of DTI experts at the UR, and teaching himself computer programming along the way. One year turned into two years, and matriculation into the Neurobiology and Anatomy master’s program. “It wasn’t until my second year of dedicated research time, that the paper started coming together and we began to understand the broader significance of the findings,” Paul says. But there were a few hurdles to overcome first. An elegant example of that, he says, is that white matter tracks are curved like rivers flowing through a mountainside, making them hard to measure. Data was collected and analyzed from 23 patients using DTI. The patients were separated into three groups: some with large tumors and severe damage along their optic tracks, some with small tumors and minor damage, and healthy subjects. They were followed before surgery, and at two- and four-week intervals post-surgery. By the end of the study, all of the patients had either regained their original vision or had significantly improved vision after surgery, and all demonstrated a correlation between the re-growth of their white matter fibers and their amount of visual recovery. Based on Paul’s pilot study, a National Institutes of Health R01 grant application has been submitted to fund a larger, longitudinal study. The hope is that the results will further support the technique as “a way doctors can see whether or not what’s happening in the brain is what they think should be happening, and whether it correlates clinically” in patients, says Paul. It’s a predictor that may have applications well beyond pituitary tumor patients, says Vates. Director of the University of Rochester’s Neurorestoration Institute and distinguished professor Bradford C. Berk, M.D., Ph.D., says the project perfectly illustrates translational research, and what can be accomplished with close collaboration between experts and scholars of science and medicine, and a community of willing patients. When he was in third grade, Paul’s parents gave him a copy of the book “Gifted Hands” (the story of current presidential candidate Ben Carson, M.D., who grew up in inner-city Detroit and became one of the most celebrated neurosurgeons in the world), and asked him to write a summary every day of what he read. What further sets Paul apart is his desire to give back to the city he lives in, too. 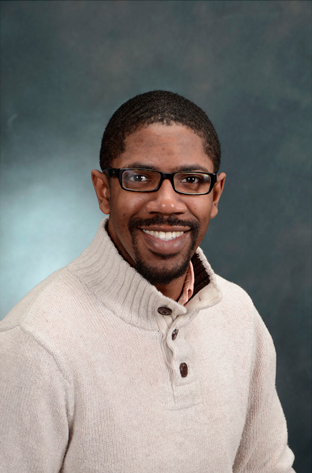 Paul was one of the co-founders of Rochester’s Minority Male Leadership Association (MMLA)—along with neurosurgery resident Clifford Pierre, M.D., in 2013—which supports young men of color through mentorship, networking and support. The association has formed partnerships with several city schools and organizations, and works to bring high school students and UR undergrads, faculty, and staff together, with the ultimate goal of improving the city’s nine percent graduation rate for black male students. “Our goal is to connect with these young men and share our stories,” says Paul. “And if we are able to grab one young man, and influence them, and they reach out and grab another, we’re going to see success, and slowly move the needle on that graduation rate. In addition to his work with MMLA, Paul has been involved with the Student National Medical Association (SNMA) for the past five years, helping to coordinate an annual pre-medical conference, during which 200 local high school and undergraduate students interested in health care attend educational sessions and workshops, hear inspiring speakers, discuss medical cases, and take part in hands-on learning. Paul says that over the past five years, past conference participants have been accepted to the University of Rochester School of Medicine and Dentistry, Duke University Medical School, and Drexel School of Medicine. The relationships that high school and undergraduate students form with medical students and faculty members through the SNMA conference are pivotal to their success.